Pink Apple Cat's Eye Crystal Pendant Only $3.77 Plus FREE Shipping! You are here: Home / Great Deals / Amazon Deals / Pink Apple Cat’s Eye Crystal Pendant Only $3.77 Plus FREE Shipping! 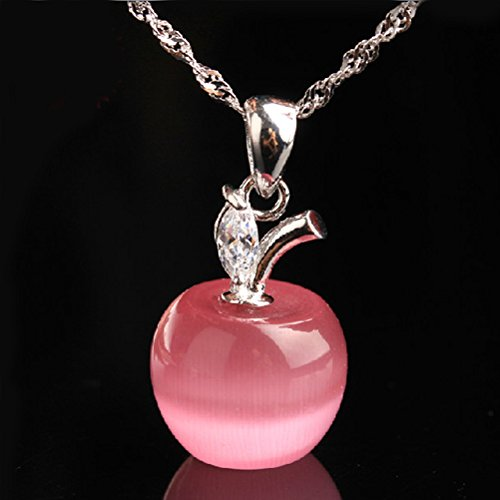 Pink Apple Cat’s Eye Crystal Pendant Only $3.77 Plus FREE Shipping! Here’s a terrific gift for your child’s teacher! The Pink Apple Cat’s Eye Crystal Pendant is Only $3.77 Plus FREE Shipping! Note: this is the pendant only, does not include chain! Made from Sterling Silver, a Rhinestone and a Cat Eye Stone, this piece will surely delight the wearer!